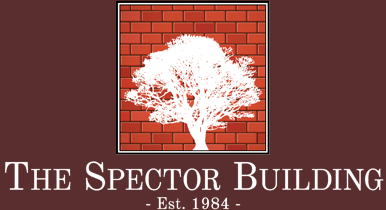 Discover what makes the Spector office building in Downtown Sarasota such a special place. From the central location, to the one-of-a-kind atmosphere, and of course, the ample parking, you will find your company has a home here. The beautiful Spector Building is an architectural highlight of Downtown Sarasota. The front entrance way provides plenty of light and ambiance. There’s 9 floors of free parking for tenants and their clients here at the Spector Building. Wood paneled elevators provide that classic and regal feeling. Well lit and ample parking is available for you. Your clients will be impressed by the architectural beauty and of course, the view! Relax during your break in our lush and private courtyards. The views of Downtown Sarasota from many of the offices for lease in the Spector Building are amazing. Many office suites for rent have conference rooms.